ALDA is a non-governmental organization dedicated to the promotion of good governance and citizenship participation at local level. ALDA was established in 1999 at the initiative of the Council of Europe’s Congress of Local and Regional Authorities to coordinate and support a network of Local Democracy Agencies (LDAs) created in the early 1990s. The 13 LDAs are self-sustainable, locally registered NGOs, that promote actively good governance and local self-government. ALDA is a membership based organisation gathering more than 160 members (including Local Authorities, Associations of Local Authorities and non-governmental organisations) coming from more than 35 countries, both in Europe and European neighbourhood countries. The work of the association is based on a multistakeholder approach, aimed at building strong partnerships between Local Authorities and NGOs. 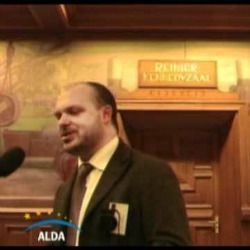 ALDA works in the European Union as well as in the European Neighbourhood countries. Marco Boaria is the Coordinator of the Resources and Development Unit of the European Association for Local Democracy since 2004. He has a 13-year experience in international work, with a specific focus on youth, active citizenship and citizen participation. He worked as programme developer, trainer (co-operating with different European training agencies), project coordinator, and supervisor in the framework of different European programs. 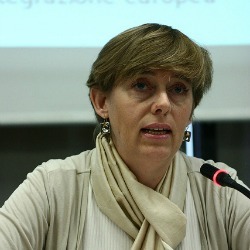 Antonella Valmorbida is Secretary General of the European Association of Local Democracy. She has a senior experience in promoting local democracy, empowerment of civil society and good governance in Europe, Eastern Europe and in the Mediterranean area. She has been the Chair of the Committee on Democracy and Civil Society of the Conference of the IONG of the Council of Europe from 2008 to 2011 and she is the coordinator of the subgroup on local government and public administration reform of the Civil Society Forum for Eastern Partnership. She was board Member of CIVICUS - the World Alliance for Citizens Participation. Since 2008, she is professor of the University of Padova in international decentralized cooperation.